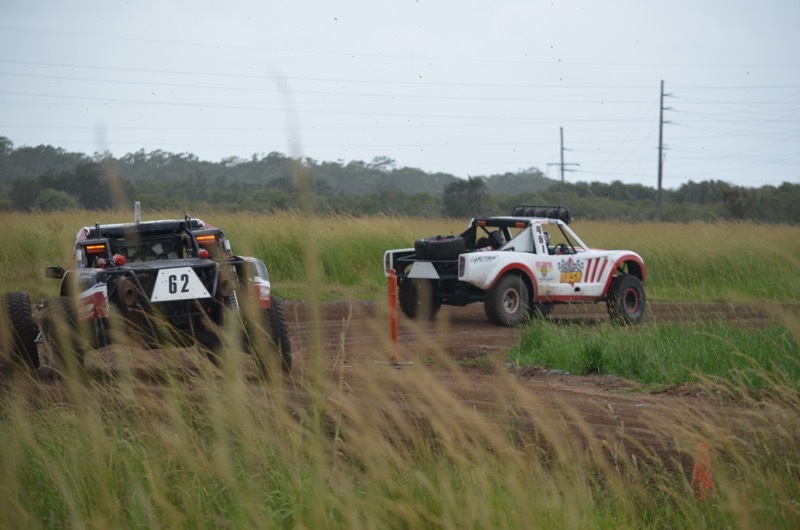 , you drive a real race buggy with an instructor riding along as your navigator offering encouragement and some handy tips on car control, drifting and racing over our purpose built jumps. Your confidence will grow as each lap goes by and so will your speed down the back dirt straight as well as getting plenty of sideways action. All of this in a powerful Toyota Lexus V8. Decked out in your full face helmet, overalls and strapped into a 4 point race harness you are completely safe to unleash you inner speed demon! 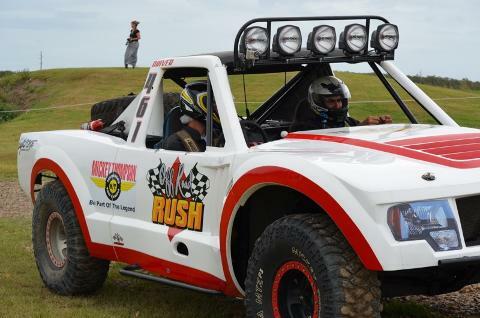 STAGE 2 - Take a break then jump back in for your 16 lap drive in Chevy powered Trophy Truck for an adrenalin pumping experience. With our excellent instructors sitting next to you and giving you some handy tips on car control. Your confidence will grow as each lap goes by and so will your speed down the back dirt straight as well as getting plenty of sideways action. 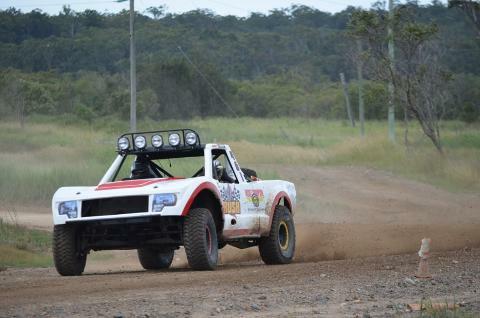 STAGE 3 - Hot Laps with adrenalin still coursing through your veins climb in with our professional driver for some exhilarating air time in both a V8 Race Buggy &Trophy Truck.